With the revolution of the internet it is easier than ever, texting, tweeting, status updating – as a consequence letter writing has fallen by the way side and now, it is often bills or junk mail that fill our letter boxes instead of personal communication. Last year my partner at the time (now husband) went to Ireland for three months, there he had limited internet and as the time-zones were quite different phone calls were expensive and hard to coordinate. So for everyday of those three months I hand-wrote him a letter to help keep our communication channels open. It wasn’t easy and I didn’t follow all of the rules listed below (I used lined paper most of the time), but all of the letters were hand written… he said on his return that it was the highlight of his day receiving my letter in the post, he has kept all of my letters to him and I certainly kept the letters he sent me. Written communication has obviously been around for centuries, but I’m going to focus of the Victorian era of letter writing – they seem to be very rule conscious; they even published manuals of the subject of letter writing to denote appropriate content for every stage of a relationship and then many styles of letter; from personal letters to letters to business men and tradesmen. Good letter writing was a sign of good breeding, and ladies were obliged to convey news and information through an attractive letter. A good letter was judged by elegance, economy of words and penmanship. Neat hand writing was everything. The fashion conscious Victorians were also very particular about the type of stationery they used for their letters, in the mid 1800’s it was acceptable to used decorated or monogrammed paper, but by the end of the century, woven, unlined, ivory paper was considered the stationery of choice. It was acceptable to include small illustrations and/or painted script – making the letter attractive, even the envelope could be embellished. There was even more etiquette on choosing the correct colour of wax to seal your letter. 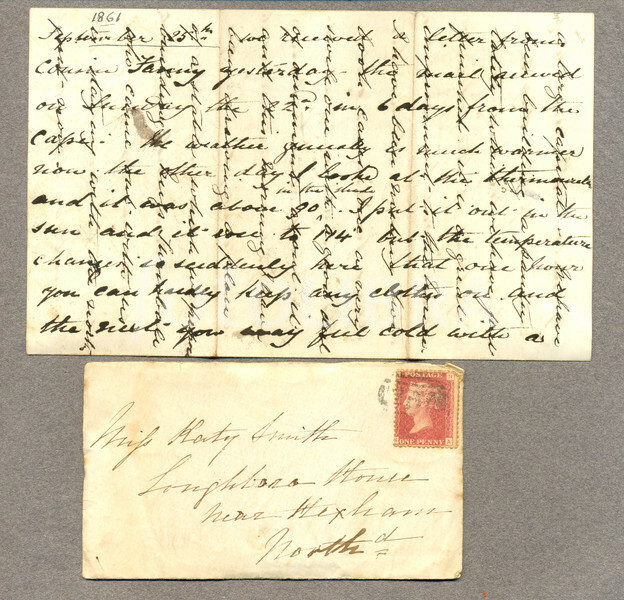 For example, mourning letters were sealing in black, Business letters were sealed in red. Don’t write an anonymous letter – always sign your name to every letter. Don’t conduct private correspondence on a post card – as they are considered a ‘cheap’ version of a letter. Don’t use lined paper for formal letters. Don’t write on a half-sheet of paper for the sake of economy. Don’t underline words. Let your choice of vocabulary and expressiveness of thought convey your depth of feeling. Don’t use abbreviated words, as it indicates the letter was written hastily. Don’t erase or cross-out misspelled words in letters of importance; do recopy the entire letter. Don’t fill up margins with forgotten ideas and messages but instead add an extra sheet to the letter. Do select the colour of ink very carefully, black ink is considered acceptable and sometimes blue, but never red. Do give every subject a separate paragraph. Do write letters by hand; the typewriter was considered the most vulgar thing to use on a personal letter! Do match the writing style to whom the letter was addressed to; for example, a letter to a business tradesman should be polite but distant in its tone. Do know how to fold a letter properly, never refold the letter; rather, do be sure to fold it correctly the first time. A poorly folded letter should be re-writen. Do read the letter over carefully before sending. With the growth of digital technology the art of hand writing is dying. Hand writing is spontaneous and heartfelt. I do love getting a hand written letter in the mail, it shows that someone has taken the time out to prepare and post something worthwhile. Writing by hand focuses the mind as every word must be considered, it is personal and permanent. To cut down on costs, sometimes a writer would fill the page, turn the paper and write in another direction – this was called a ‘crossed’ letter. I used to enjoy handwriting. I still have great penmanship, but true, the art of hand writing is dying and it’s a shame. But, at least it makes for a good blog! Very interesting, the rules especially. 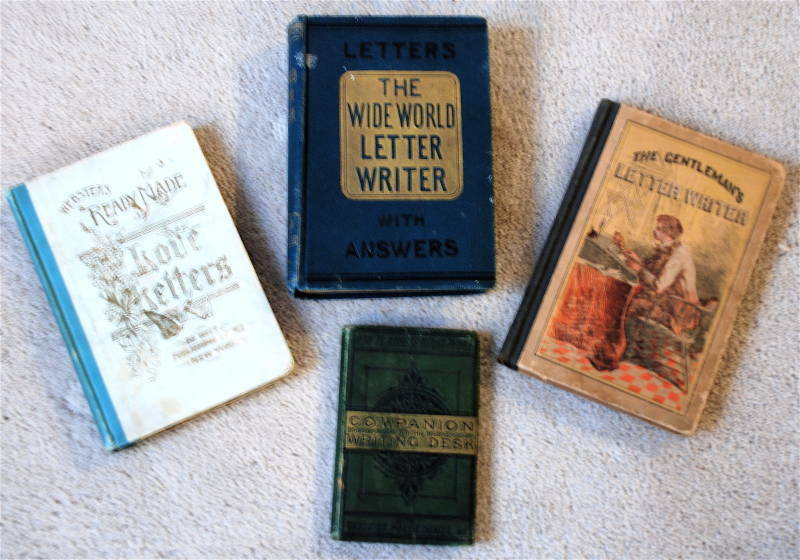 I love antique books, I have a few antique children’s school books, which look similar to the ones above, and I just adore the illustrations in them.